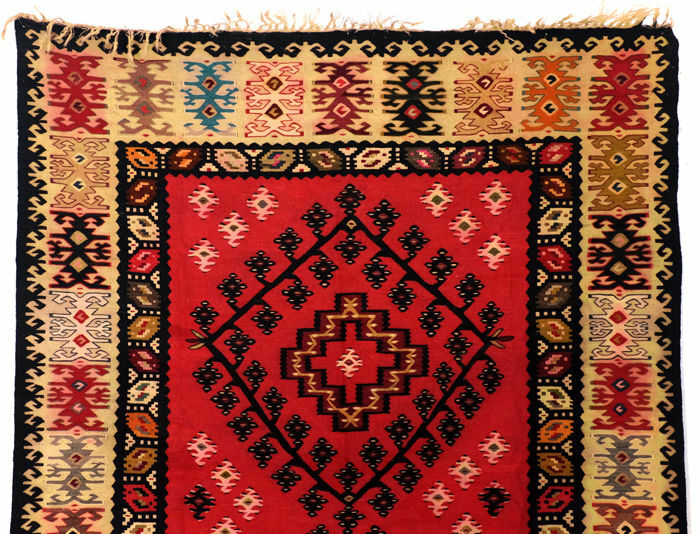 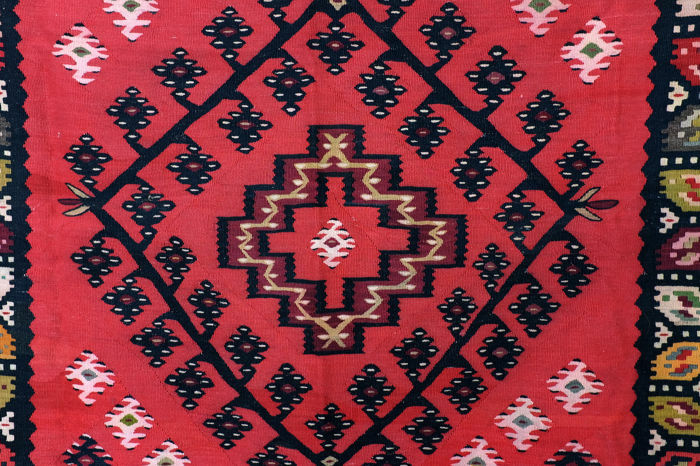 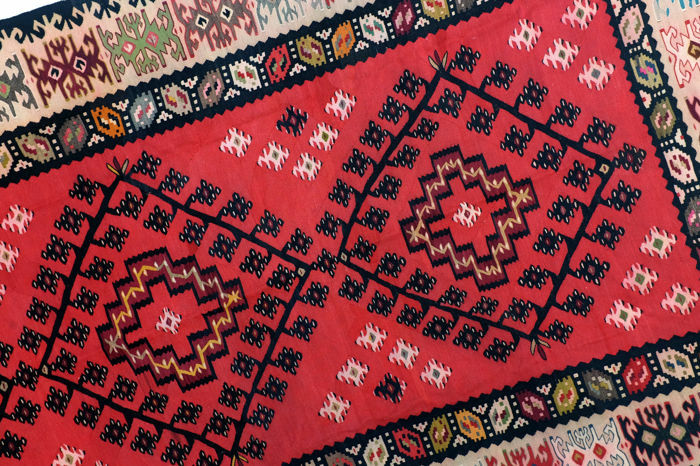 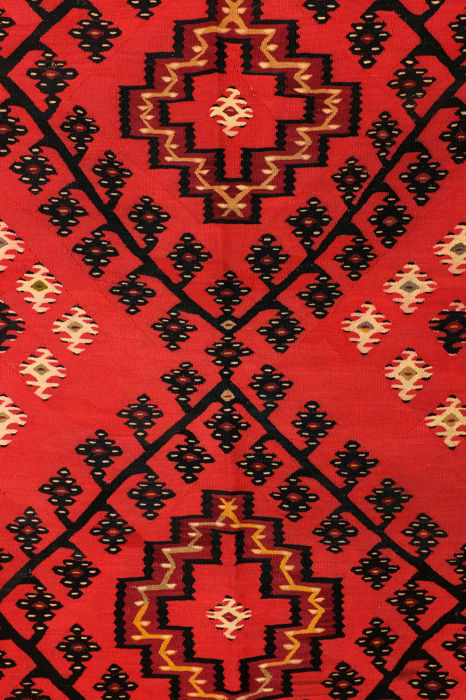 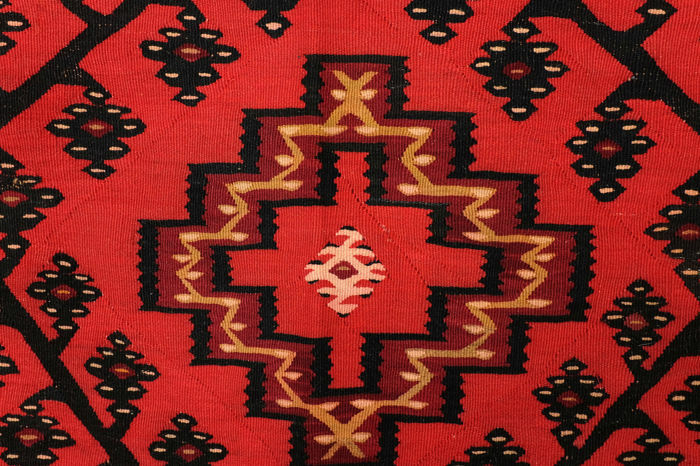 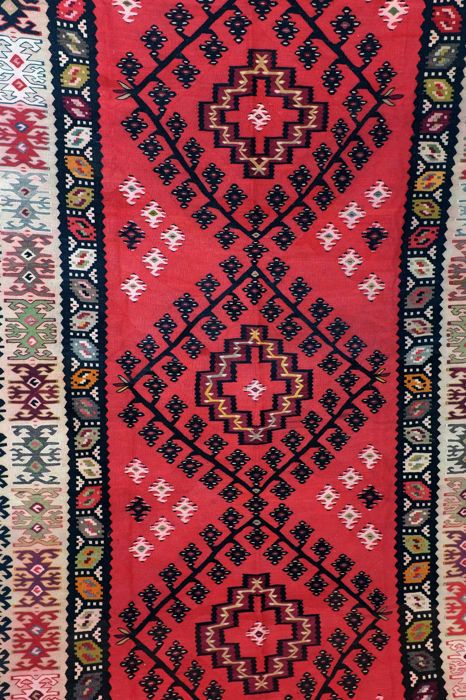 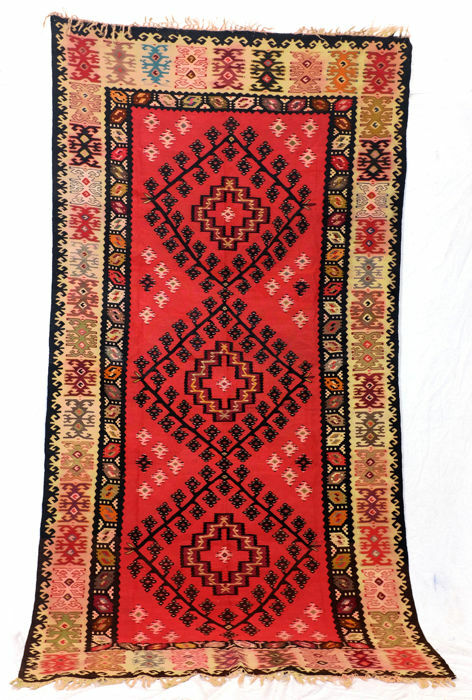 Finely twined kilim of high quality. 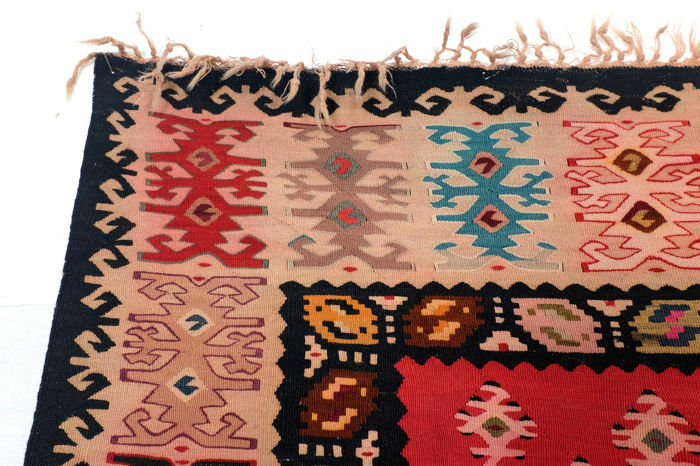 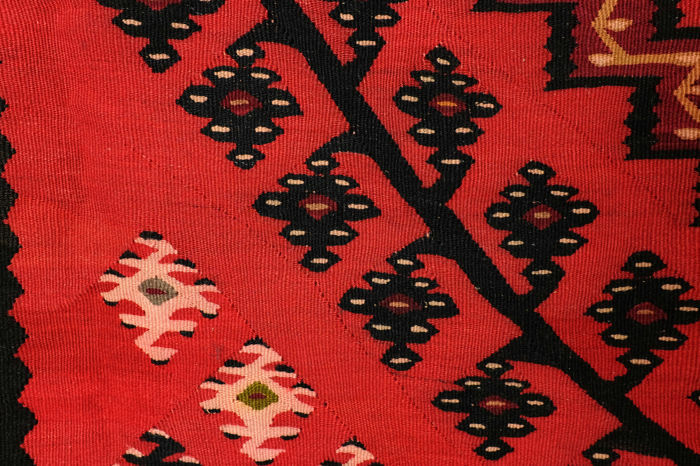 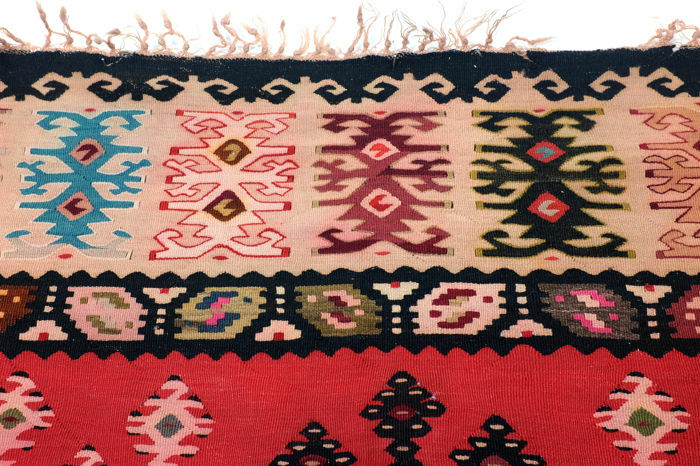 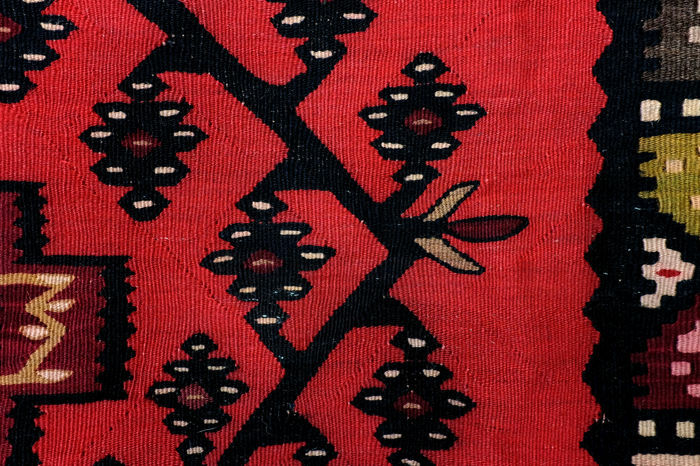 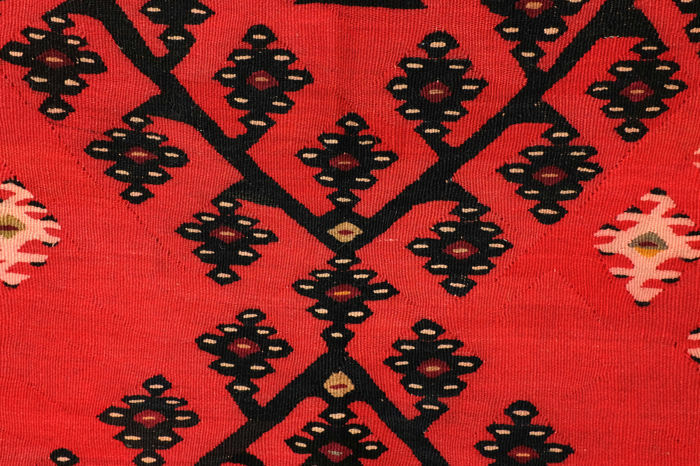 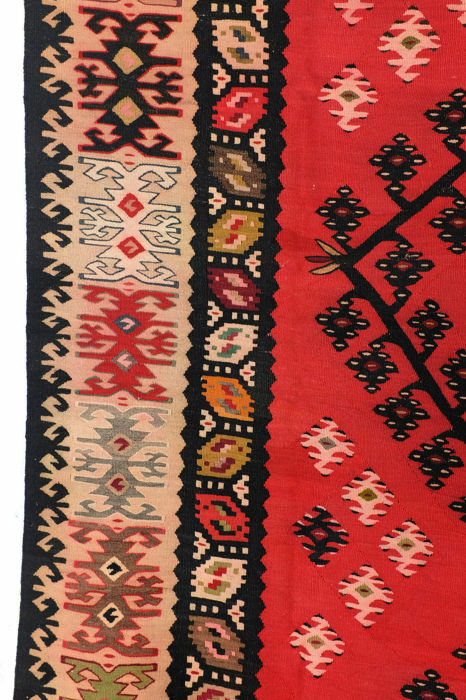 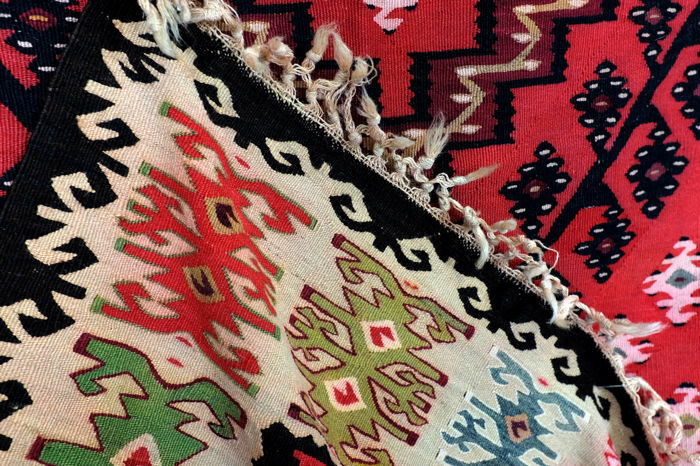 These kilims are known for their fine structure. 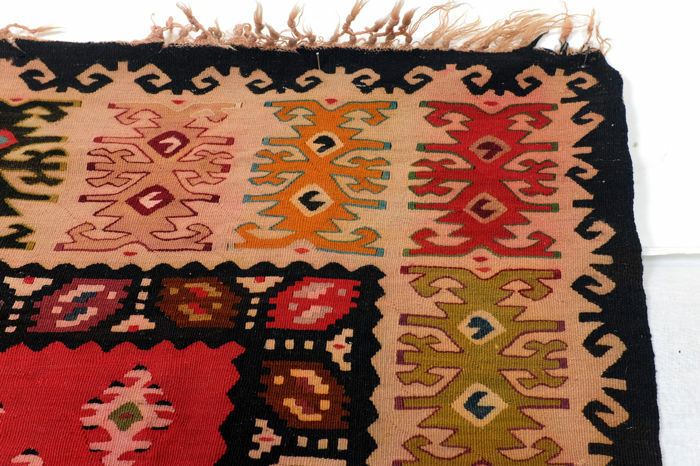 Beautiful soft pink colour next to white in the edges. 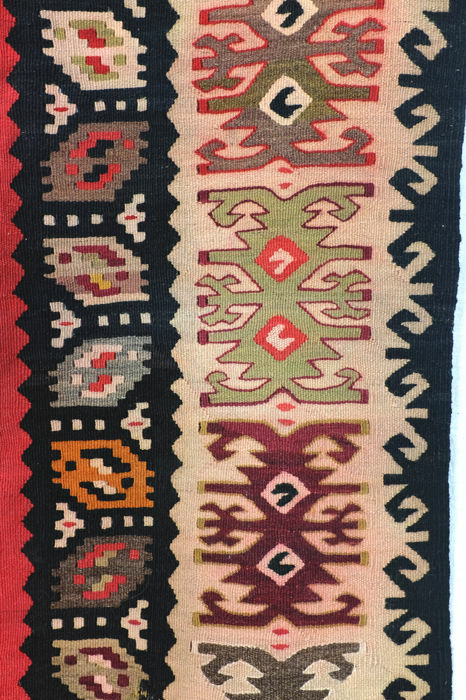 No washed-out red, but intentional use of pink wool. 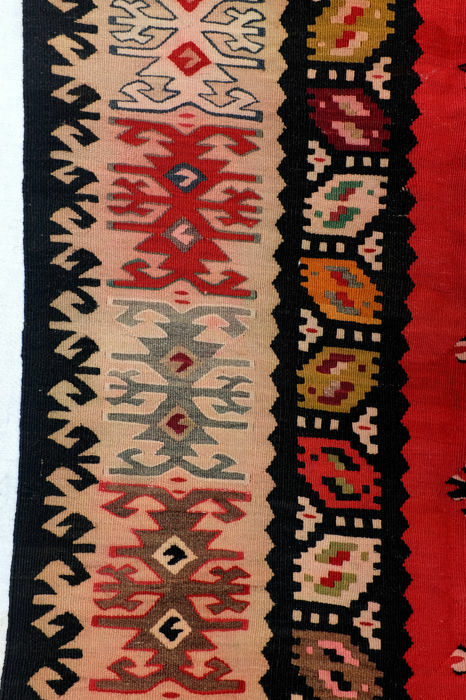 Subtle use of colours. 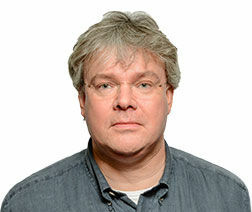 Please view the close-ups.